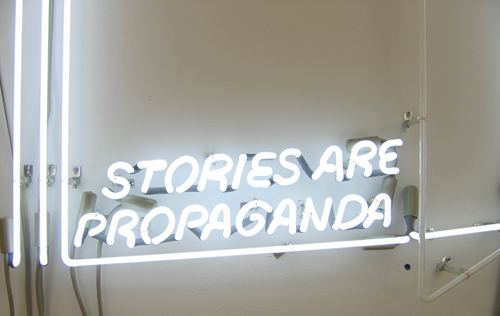 1301PE is pleased to announce its second exhibition with the preeminent French artist Philippe Parreno. For more than a decade, Parreno has created ideas that challenge our way of seeing, but it was not until the presentation of Annlee: No Ghost Just Shell at Art Basel Miami Beach and the collection of Rosa and Carlos de la Cruz in 2003 that many in America became familiar with his work. 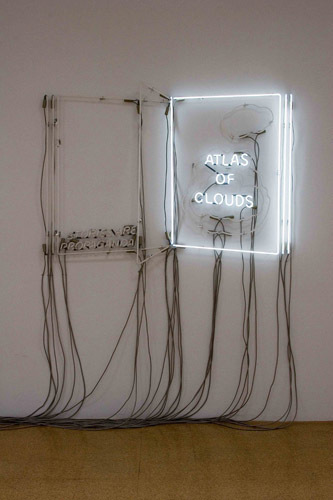 For the current exhibition, he presents us with the world premier of an animated neon book entitled Atlas of Clouds. The work stands in for the book itself. 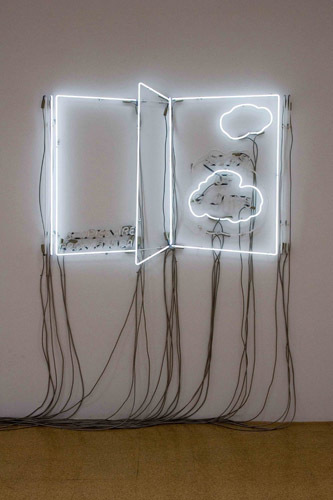 Philippe Parreno was born 1964 in Oran, Algeria. He lives and works in Paris, France. He graduated in 1983-1988 from Ecole des Beaux-Arts de Grenoble and in 1989 from Institut des Hautes Etudes en arts plastiques - first session - Palais de Tokyo, Paris. 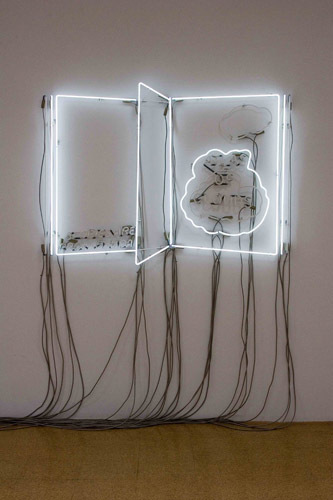 Major one-person exhibitions include Fade Away, Kunstverein, Munich; The Sky of The Seven Colors, Center for Contemporary Art, CCA Kitakyushu; El Sueno de una cosa, Portikus Museum, Frankfurt; Alien Season, Musee d'Art Moderne de la Ville de Paris, Paris; Anywhere out of the world, Kunstverein Munchen, Munich; El sueno de una cosa, Museet Project, Moderna Museet, Stocklhom; Snow Dancing, Le Consortium, Dijon. Parreno has also been included in some of the most important group exhibitions of our time: It Happened Tomorrow, Lyon Biennale, Lyon; 50e Biennale de Venise, Venice; Neue Welt: Frankfurter Kunstwerein, Frankfurt; 7th International Istanbul Biennial, Istanbul; Let's Entertain, Walker Art Center, Minneapolis, Minnesota. Curated by P. Vergne. Travelled to, Portland Art Museum, Centre Georges Pompidou, Museo Rufino Tamayo, Miami Art Museum; D'Apertutto, Biennale de Venise, Venice. With Pierre Huyghe and Dominique Gonzalez-Foerster; Traffic, CAPC Bordeaux with Maurizio Cattelan; No Man's Time, Villa Arson, Nice.